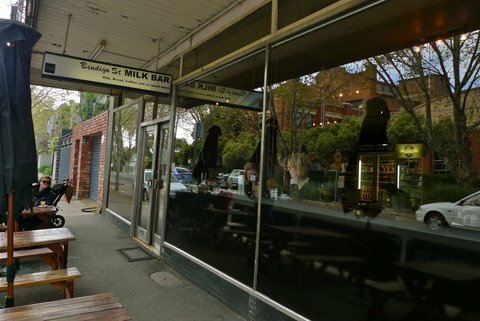 Just around the corner from the buzzing Friends of Mine café in Richmond there is an unpretentious homely alternative, Bendigo Street Milk Bar. Once upon a time it was only visited for bread, milk and the morning paper, but now this converted favourite feeds locals breakfast, lunch and snacks. 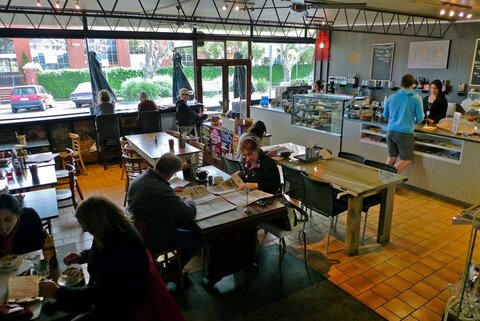 Located opposite the old Channel Nine building, the café was the company's go-to place before their offices moved to the Docklands. And now that the Yarra Council has approved the $400 million redevelopment plans, business will certainly stay strong. The mismatched decor of Bendigo Street Milk Bar does not fit a particular category, but it’s endearing nonetheless. Terracotta tiled floors sit beneath a shamble of wooden and weaved chairs. 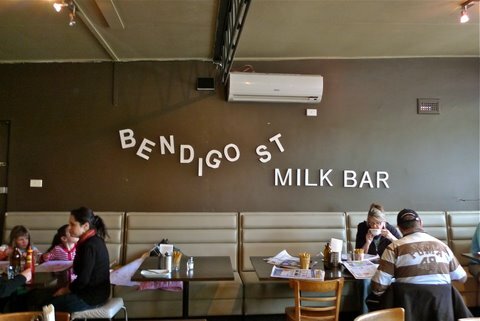 Above a comfortable banquette hangs deliberately crooked letters reading 'Bendigo St Milk Bar’. Sandwiches are displayed in cabinets alongside chocolate bars and homemade muffins, but it’s the sausage rolls that keep people coming back. Above the coffee machine, a spiralling red light brightens up the room, while a bench table by the window provides a view of the leafy residential street. On sunny says, picnic bench tables outside are the place to eat, but if they are already taken, head through what appears to be the corridor of someone's house to the courtyard out the back. 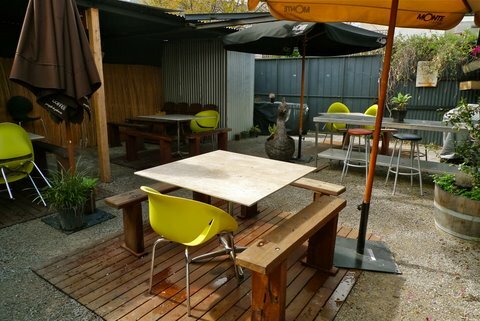 More modern than inside, it features lime green plastic chairs, a stainless steel bar with circular stools and plants potted in wooden barrels. Sit under the tin roof for some shade or take down the brown umbrellas to catch some rays. For larger groups, book the mezzanine 'private' room, which is slightly apart from the main meals area and is almost completely filled by a huge dining table. 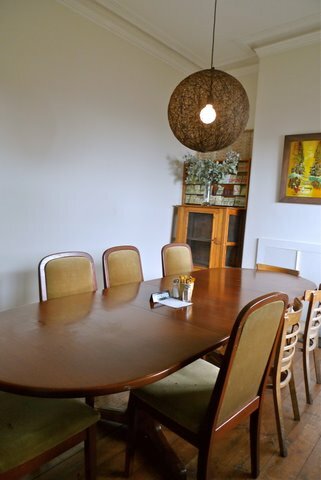 The room is also decorated with an eclectic mix of antique furniture and a modern ice cream fridge in the corner. 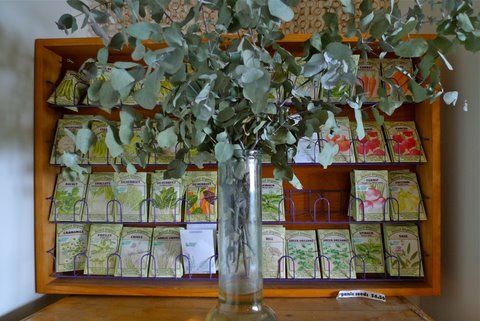 Try to veer the kids away from this temptation towards the old dresser, where they can buy a packet of seeds to plant instead… yeah, right! 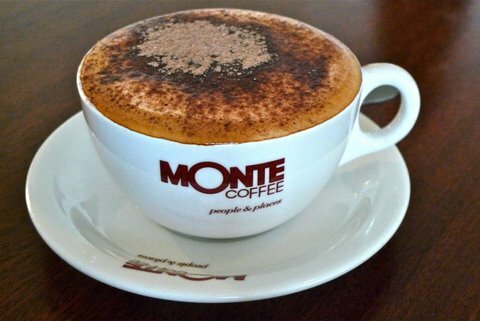 Bendigo Street Milk Bar uses Monte coffee. My cappuccino was the perfect temperature, and although it could have been a little stronger, it was mellow and satisfying. A young man, emanating an air of grumpiness, delivered the coffee, but the waitress who also took care of us was much friendlier. However, when asked if they served fruit salad, she said no, despite "Fresh Fruit and Evia Greek Yoghurt" being clearly written on the menu. When asked about the discrepancy, she mumbled something about seasonality, before porridge was ordered instead. The porridge arrived as promised, "warm oats." For those used to gluey porridge lacking in texture, be warned, you may consider this dish undercooked rather than 'traditionally' cooked. Topped with luscious, sliced strawberries and banana, it didn't need the addition of honey. 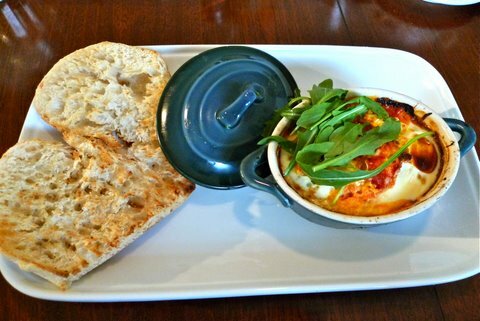 The "Baked Eggs with Bite" arrived in a teal terracotta pot, cooked in homemade Napoli sauce. Served with toasted ciabatta to mop up the baked beans and feta, this dish had everything going for it… until it was discovered the eggs were over-cooked. The supposed "bite" wasn't terribly noticeable, so those who dislike spicy food need not be discouraged from ordering this dish. I ordered the corn fritters with poached eggs and chilli jam, and was relieved when the two flawless white spheres burst open to reveal soft yolks. The avocado salsa consisted of diced red onion, tomato and avocado in a seeded honey dressing. The chilli jam complemented the corn fritters, which were sweet and not too floury. The chef could have been more generous with the rocket (there were only a few leaves of garnish), but overall it was a winner. 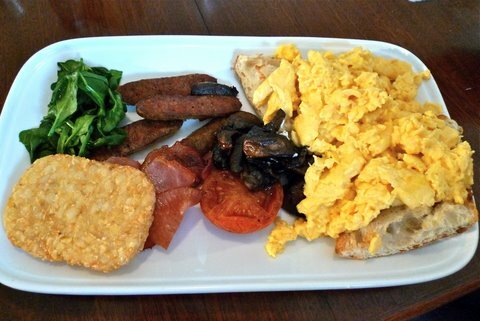 The most impressive dish was the "Bendigo Street Milk Bar Big Breaky," two eggs your way (scrambled today) on toasted ciabatta, served with perfectly cooked bacon, mushroom, spinach, grilled tomato, a hash brown, and tasty chipolata sausages. Highly recommended for those recovering from a big night or feeling extraordinarily hungry. The boys were taken by "Mama's Meatball Pasta," despite lunch still being a few hours away. 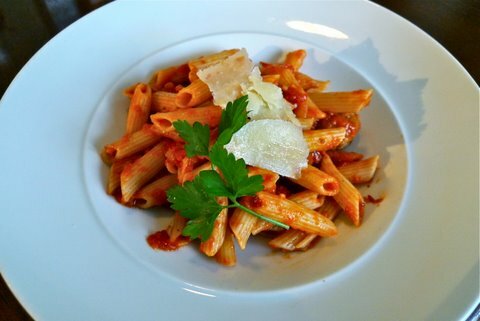 Although out of place beside our breakfast dishes, the reports of the penne pasta with homemade Napoli sauce, flaked cheddar and "every meatball rolled by hand, just the way it has been done in Sicily for generations," received much praise. 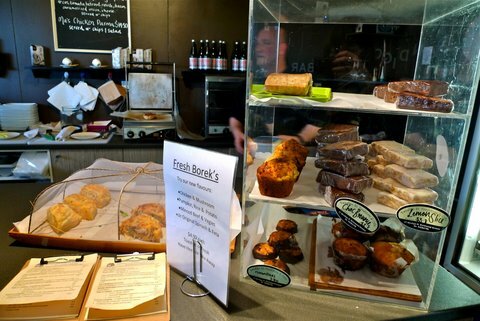 Bendigo Street Milk Bar also has a range of tempting sweets, including brownies, lemon slices, Portuguese tarts, Florentines, cakes and muffins. 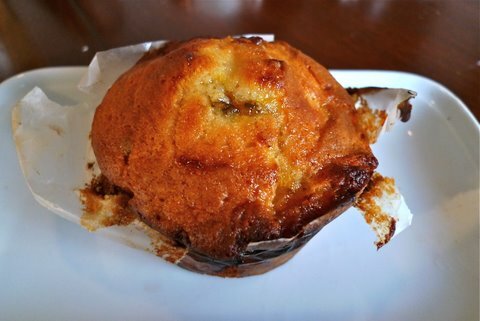 The muffins are baked fresh daily and on this particular morning there was a passionfruit and pineapple offering. Moist, fluffy and fruity, it was the kind of treat where you can't have "just a taste." The homemade pies and pastries on offer were also tempting, and South Melbourne Market dim sims can also be purchased, and are advertised as being "great for hangovers." Despite a few critiques, everything we ate was fresh and simple, with a focus on traditional methods and 'real' food. So if you're in the area and don't fancy queuing for your Eggs Benedict or paying $17 for the privilege, pop into Bendigo Street Milk Bar and make friends with the locals instead. Oh, and don’t forget the milk!